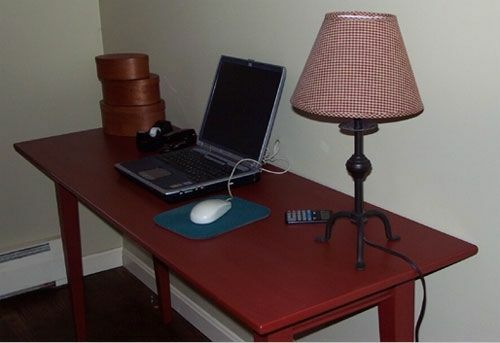 The 29 3/4" height and 20 1/2" depth make it the ideal computer desk and side table. And we sell it by the inch to fit perfectly into your space! With a 4" beaded apron and tapered legs. Choose the length you want AND how you want to pay for it at left. Because these are more expensive items and are made to order we give you the choice of paying for your item in full now or just paying a 50% deposit now and the balance, plus applicable state sales tax and shipping, when your item is completed.